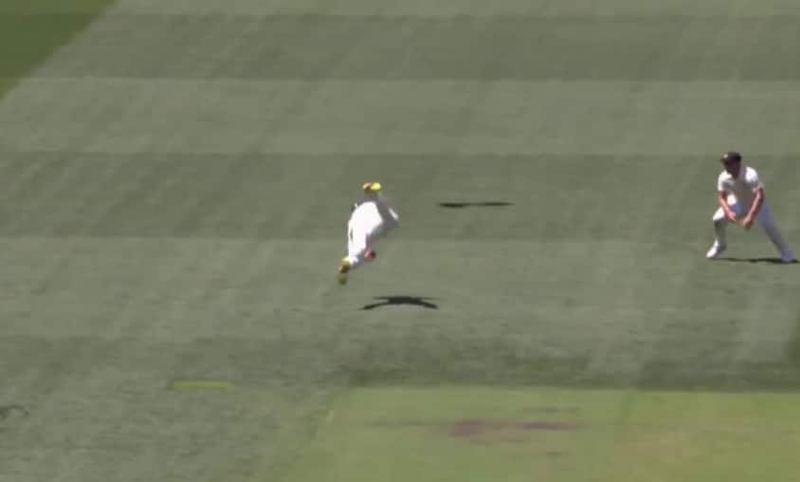 Kohli saw width from Cummins, chased it it and edged in the air for Khawaja to leap to his left. 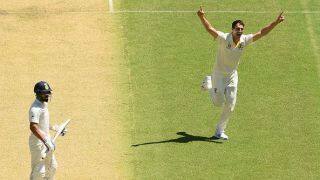 The opening hour of the first Test between India and Australia at Adelaide Oval saw the touring team losing their top order inside 11 overs after Virat Kohli won a rare toss and opted to bat. The early exits of KL Rahul (2) and Murali Vijay (11) inside seven overs ushered in Kohli at his customary No 4 position, but he did not last long. On three, Kohli was excellently taken by a leaping Usman Khawaja, one-handed, at gully when driving hard at Pat Cummins, the third Indian wicket to fall with 19 runs on the board. The first bowling change produced the biggest wicket, courtesy a spectacular take by Khawaja at gully. Kohli saw width from Cummins, chased it it and edged in the air for Khawaja to leap to his left and pluck a stunner. Cummins has now dismissed Kohli twice in four balls in Test cricket.